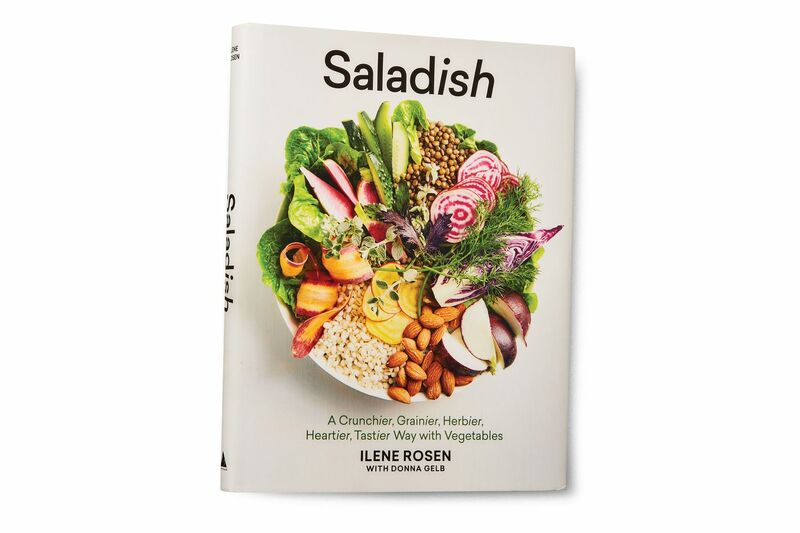 Ilene Rosen may not have invented the salad, but there’s no question that she transformed it. Before Sweetgreen, before Chop’t, before words like vegivore and healthyish entered the lexicon, Rosen launched the salad bar at City Bakery, where for 15 years she combined Greenmarket sourcing and international flavors with an artist’s eye and pure quirk to make the act of filling a takeout container a thrilling culinary event. Now chef-partner at Brooklyn grocer R&D Foods, she’s published her first cookbook, Saladish (Artisan; $25), a compendium of recipes divided by season and punctuated by useful tips and techniques, treatises on texture and assembly, and pantry and equipment guides. While this might sound like every other vegetable-centric tome out there, Rosen distinguishes hers with images and recipes that reflect her unique eye and palate: fan-club favorites like silky tofu skin with preserved-cabbage dressing and Tex-Mex cornbread salad; dishes named by color, like the beet-and-quinoa Red or the chayote-and-apple Palest Green; and a series of “choose your style” grids that invite customization of key ingredients like kale with mix-and-match cheese, allium, and nut or seed. There’s a potato salad for every season and winter and spring crudités. In Saladish, Rosen treats the oft-maligned category not as a necessary nutritional evil but as a way of seeing (and eating) the world.